2) 70% of the amount – after arrival to INDIA / Day 1 of the tour. 2) 50% of the amount – before arrival to INDIA / One month earlier of the tour starting date. In the case of a genuine crisis or emergency Leisure India Holidays office can be reached on 00911414037555 during business hours (10.00am to 8pm) or after hours on 00919829257777. Visas are the responsibility of the individual traveller. The visa requirements for your trip vary depending on where you are from and where you are going. As a general rule most countries expect that you will have at least 6 months’ validity on your passport. We keep the following information up to date as much as possible, but rules do change – it’s important that you check for yourself. Residents from other countries must consult the relevant embassies or your travel agent. 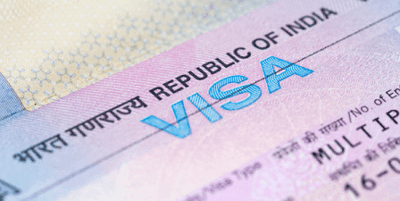 There is NO visa on arrival in India for most nationalities. Indian visas can NOT be obtained in Nepal. Tourist visas are available in Single and Multiple Entry. Be sure to check the date you require a visa from and the length of time you will need to cover, especially if you change countries during your trip. *Visa on arrival is available for select nationalities, including New Zealanders provided that specific criteria can be met. See link below for more information. Leisure India Holidays acts only in the capacity of agent for the hotels, airlines, transporters, railways & contractors providing other services & all exchange orders, receipts, contracts & tickets issued by us are issued subject to terms & conditions under which these services are provided by them. We shall not be responsible for any delays & alterations in the programme or expenses incurred directly or indirectly due to natural hazards, flight cancellations, accident, breakdown of machinery or equipments, breakdown of transport, weather, sickness, landslides, political closures or any untoward incidents. We do not have any insurance policy covering the expenses for accident, sickness, loss due to theft, or any other reasons. Visitors are advised to seek such insurance arrangements in their home country. All baggages & personal properties at all times are at the client’s risk. You may also write us at: info@lih.travel or inbound@lih.travel addressing your issues and on receiving your email we will rectify the issue at the earliest.